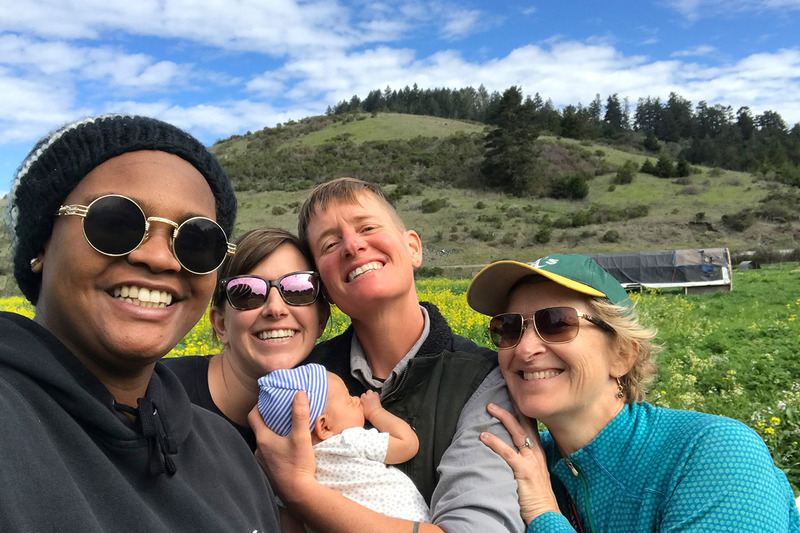 This week, CUESA unveils The Food Change, a bold new project championing farmers, advocates, and everyday people who are making positive change in our food system. 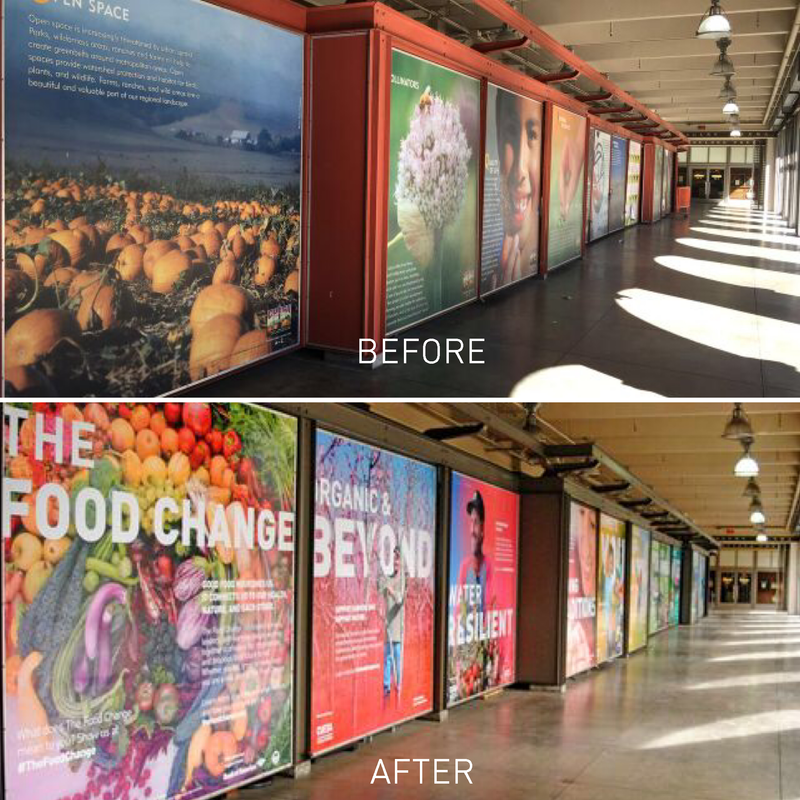 Through a larger-than-life public art installation at San Francisco’s Ferry Building with beautiful portraits by photographer Anne Hamersky, The Food Change will engage thousands of visitors in creating a fair, regenerative, and delicious food future. Tomorrow, please join CUESA in celebrating the change we’re making together at The Food Change Big Reveal at the Ferry Plaza Farmers Market. 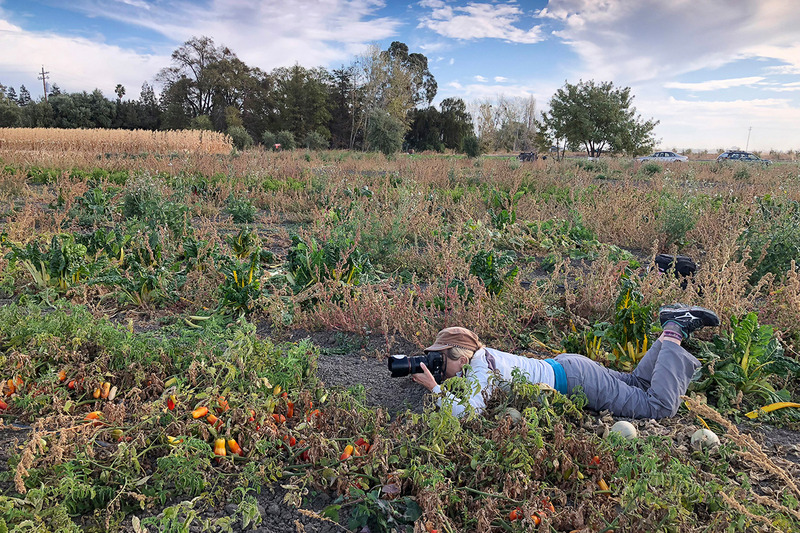 We spoke with photographer and collaborator Anne Hamersky about her inspiration and process, and the importance of public art in galvanizing The Food Change. CUESA: What drew you to this project? Anne Hamersky: I always admired CUESA’s “A to Z of Sustainability” exhibit, which was under the eaves of the Ferry Building for many years. I was drawn to the arcade as a beautiful, iconic public space for presenting an important visual statement of what CUESA stands for. When CUESA decided it was time for a refresh, it felt like a collaboration that was waiting to happen. How did you get interested in food and agriculture, and how does that intersect with your work as a photographer? I was born and raised in Nebraska, and I’ve always been around home-grown food and farms. My family comes from Czechoslovakia, and they all were farmers back in the old country. In high school, I read Diet for a Small Planet, and I was really moved by the notion that our food choices have an impact on environmental challenges. I became an organic consumer and a member of a food co-op, Open Harvest. I remember my shifts bagging organic soybeans in a shared space with our community access radio station, KZUM-FM. Quintessential early days of hippie food! Then I moved out to California and became a photographer. As the organic movement gained traction in ’80s and ’90s, I started asking my editors, “When you have national stories about organics, please think of me. I’m your girl!” So I started shooting features for different magazines around food and farming and the organic movement. 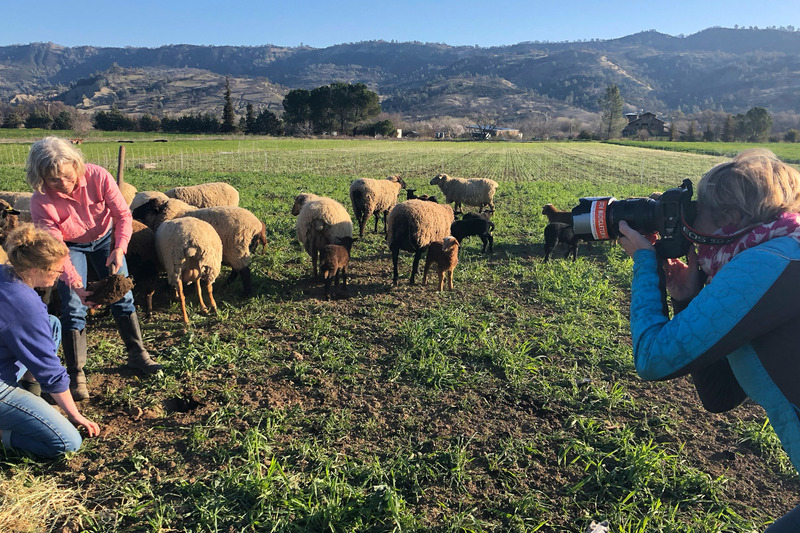 That translated into other projects, like taking photographs for the Farm Together Now book, documenting 20 diversified operations around the country. Your photography has also appeared in outdoor urban settings, in San Francisco. What drew you to public art? I was drawn to public art projects for a number of reasons. One is the randomness of the audience. It’s very democratic. It’s not an art-going audience per se—it’s whoever is walking or driving by on the street. Also, since my college days in community radio, I have always loved PSAs (public service announcements) and how art in public spaces can function as advocacy. I did a bus transit shelter project on breast health awareness in Bayview-Hunters Point a number of years ago. I also did a series of bilingual murals with Mission Pie Bakery and Pie Ranch at 25th and Mission Streets in San Francisco about the neighborhood’s connections to food and farming. Art that lives in the public commons, that reaches community members, that is in service to the greater good, is something that I value. Can you tell us a bit about your process as a photographer, and how you went about taking these portraits? One of my passions in life is to photograph people. I find people endlessly fascinating. I’m curious about who they are, what they do, and where and how they do it. I’ve always found creating portraiture to be a very special space that you enter into with someone. For starters, I show up unabashedly as my curious self and naturally build trust and rapport. Visually speaking for this project, I looked for an area of the farm or city that had a simple, clear background that showed the context or impact of what the person does. Then the really fun work begins! I think of portraiture like a duet or a dance. A photograph is a document of the relationship that the photographer builds with their subject. And what I strive for is an honest representation of who that person is in front of my camera. It’s all about them. When I keep looking at the result and deeply feel something — from a full range options, I think I’ve succeeded. At least I hope I have! What does “The Food Change” mean to you? For me, it means that every single person sees that their choices really do matter—whether it’s where to shop and what to eat, or it’s voting for people that are going to protect farmland and build equity within the food system. We are at a time in history that we’re facing urgent challenges from climate change. The future of our planet, our communities, and our own health and wellness is at stake. I hope that everybody will feel that they have not only a place at the table, but that their voices are heard. I hope they feel compelled to be involved in creating “the food change” for themselves, in whatever capacity they can. What is your hope for this project as it is launched into the world? In collaborating with CUESA on this project, we often talked about who is going to see this exhibit, who are the audiences—the shoppers and chefs who come to the farmers market every week; the people who live, work, and jog around the Embarcadero; the tourists from all over the world. For me, the audience who is nearest and dearest to my heart is the young students who visit on their field trips to CUESA’s Foodwise Kids program. As they stand under the eaves of the Ferry Building, they learn about farmers and what’s in season. Then they go out and shop in the farmers market and come back to CUESA’s kitchen to chop their vegetables, and they create and share a meal together. 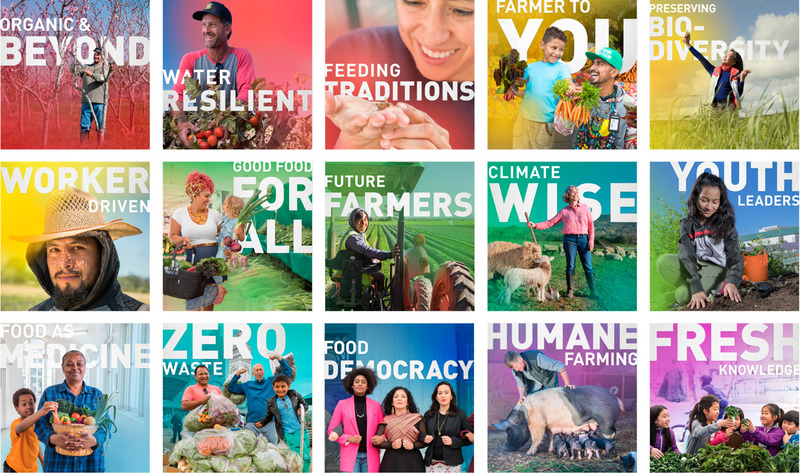 The whole time they’re surrounded by these larger-than-life, colorful portraits of farmers and other people creating positive change. My deepest wish is that those kids look up at these murals and they see and recognize themselves, and that they feel the energy and excitement of being a part of that future. I see those young kids as our future leaders within The Food Change. 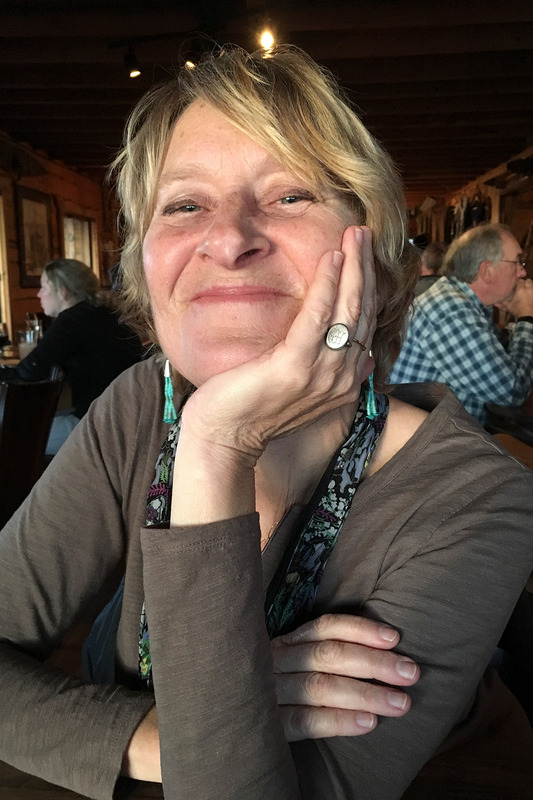 Meet Anne Hamersky and Food Change participants tomorrow at The Food Change Big Reveal, from 11:30am to 1:00pm, in the south arcade of the Ferry Building. Learn more at thefoodchange.org.